This study was to develop a new technique for reproduction of coral communities and its evaluation through filed survey. This new technique consists of 2 key-technologies. 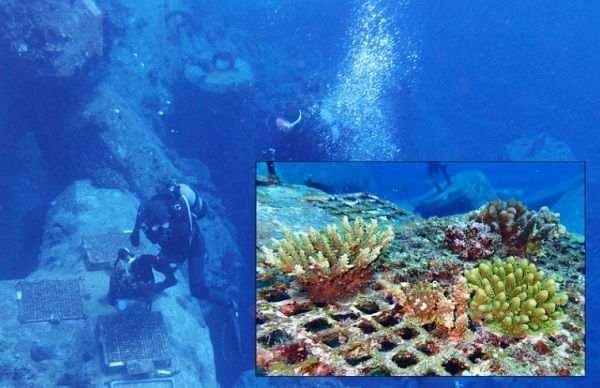 One is an artificial base for reproduction of coral community , called "Coral net Ⓡ", and the other is Habitat Suitability Index (HSI) model of coral community. “Coral net” provides much higher survival rate of the transplanted coral than the conventional methods by easy installation work without any damage of natural habitat. Habitat Suitability Index (HSI) model valuate appropriate conditions for reproduction of coral communities. Both technologies contribute significantly to conservation of coral reef. A new environmentally-friendly concrete that contains no Portland cement and can reduce the amount of CO2 emissions to 20% of traditional Portland cement concrete has been developed. Since main binder is blast furnace slag, the concrete also supports 3R principle . Although some features were concerns due to the large amount of blast furnace slag used, these issues were resolved by high engineering strengths. 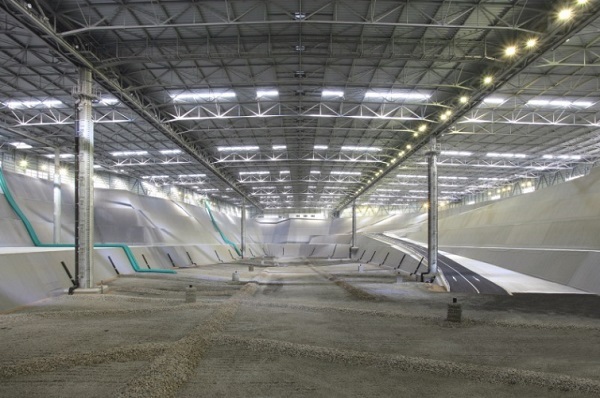 The reliability and safety regarding the concrete have also been confirmed by enough experiment, as well as the contribution to an environmental load reduction. It was judged by these results that the concrete is a winner of Environment Award. The purpose of the project is to quickly reduce the disaster waste caused by the Great East Japan Earthquake. 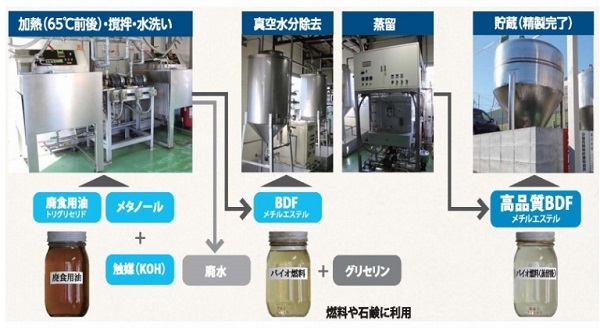 The “Smart recycling system of disaster waste” is developed and practically used in the actual disaster waste disposal project in Miyagi prefecture leading to the dynamic recycles of 98%. The system consists of the several subsystems such as the disaster waste multistage disposal system, granulation system using the soil, ash and cement, and waste heat usage system. Due to the application of the system, the total volume of 644 thousands ton disaster waste has been reduced to 16 thousands ton during 12 months. This system will contribute to the rapid recovery of the disaster area and environmental conservation. 2. Construction of Japan’s largest covered final landfill site “Eco-park Kagoshima” that is friendly to the environment. 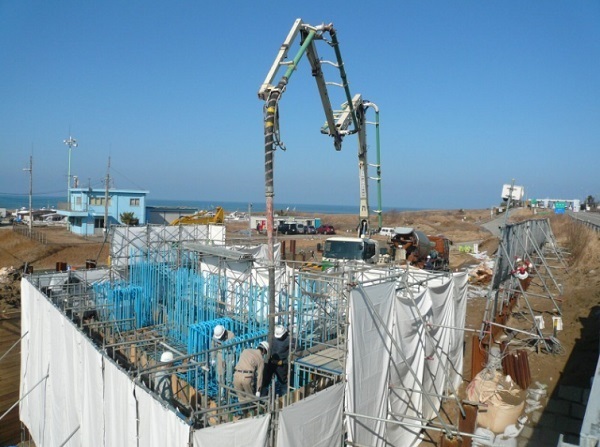 In this project, diverse environmental techniques were deployed in Japan’s largest covered final landfill site such as designing for minimizing sections penetrating the liner system, preventing waste scatter by covering, preventing the internal leachate retention, stabilizing waste by preliminary processing, stabilizing early the landfill through landfill gas ventilation. The characteristics include the adoption of technique for stabilizing landfill waste, section-based monitoring and management, and the use of a multiple liner system. Life-cycle cost was held below that at open-type landfill sites. The project turned out to be a pioneering best practice as an environmentally friendly and economically feasible case. 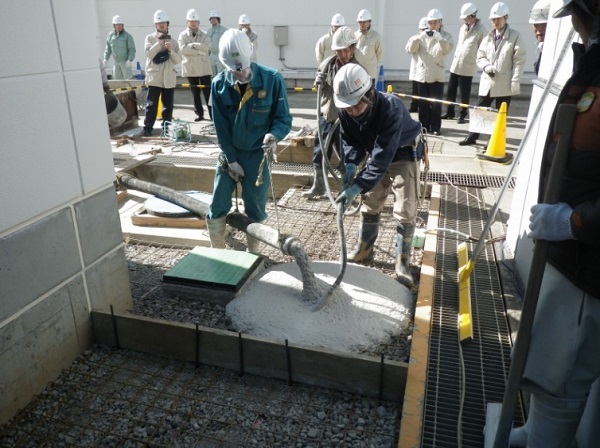 A system for production and dissemination of highly durable concrete mixtures using high quality fly ashes was developed in the Hokuriku district as a countermeasure to chloride attack and the alkali silica reaction. This project was promoted in cooperation with an electric power company, the national and local governments, the industrial association of ready-mixed concrete companies, and certain universities with which a joint-collaborative committee was set up in January 2011. This project’s particularly successful collaboration between local industry, academia, and government can be used as a model project for other districts, and local production for local consumption is an important point regarding sustainability. Within this framework, it was decided that this project should receive the Environment Award of the Japan Society of Civil Engineers. ・Kushiro Development and Construction Dept. 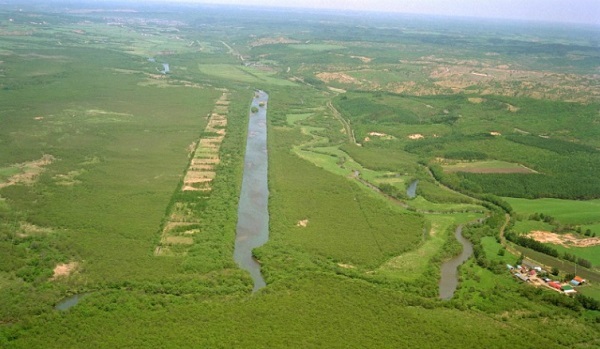 This project is to restore the meandering old channel of the Kushiro River that flows through Kushiro Wetland. The effects of this project have been confirmed to include the reduction of sediment flow to the central area of the wetland, the restoration of approx. 30 ha of marsh land and wetland vegetation due to flood plain regeneration, an increase in more than twice the number of varieties and numbers of fish that inhabit the river, restoration of the wetland’s river landscapes, and the creation of a tourism resource in the form of a new canoe course along the restored stretch of the old channel. 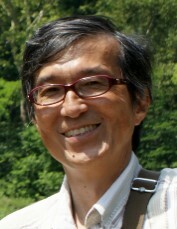 The Kushiro River is Asia’s first example of river regeneration by means of meander restoration. 5. Reduction of carbon dioxide emission and contribution to the promotion of resource-recycling society by introducing biodiesel fuel for machines in construction sites. Establishment of a system of “local production for local consumption of energy” by producing biodiesel fuel from locally collected used cooking oil for local construction sites thus realizing CO2 reduction and resource-recycling society at the same time.